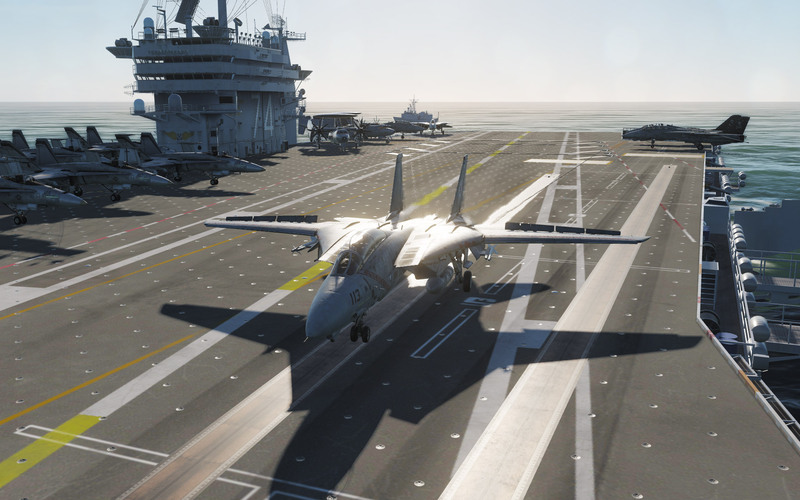 I’ve been putting the DCS: F-14 Tomcat through its paces in the last few days slowly working through navigation, weapon systems, and flying this mighty beast of a fighter. I feel like I can do most of that with no problem except for one thing: Carrier landings. They cause me, and I suspect many of you, no end of grief trying to get the angle just right so that you can catch a wire. Any wire! But the one that you really want is the three wire and I just managed to nail that today for the first time. 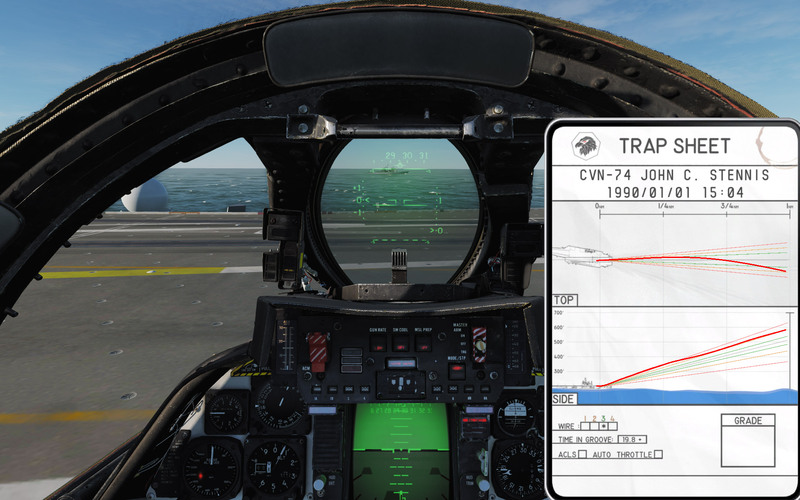 Heatblur has excellent training videos but I had trouble following them for some reason. It’s probably just me. I need a slightly less structured environment and I just need to go through the motions without worrying about flying through the hoops. Enter 104th_Maverick’s excellent CASE I tutorial. I watched the first part of this video, loaded up DCS, setup the CASE I landing pattern quick action mission and on my first attempt I put the F-14 down on the carrier deck with a 3-wire and some nice complements from Jester. That said, apparently the spoilers being popped up means that I missed something on the checklist and I now owe the Air Boss and the Controlling LSO a bottle of the spirits of his or her choice. Despite that, I’m still extremely pleased! Though the effect is slightly dulled from my now numerous F/A-18C landings, that was still an incredible thrill and easily one of the most fun I’ve had in a simulator anywhere. There’s something about nailing that landing that is just so incredibly satisfying. And here are my bragging rights with a slightly high approach but ultimately decent final trap on the John C. Stennis. May all of your landings go as smoothly! Previous Post Community Q&A with the Knights of the Air! All red on the trap sheet = too fast. Check that AOA Sir! It’s not perfect. I’m just happy to have it down on the ground. Congratulations! That is quite a feat! I’m still at the point where any wire and no broken parts is a good carrier landing. Thanks! It’s a tough one to pull off. I need to get a lot better doing this still but it’s the best I’ve done so far! Is the trap sheet automatic? It automatically fills it in on the kneeboard. No player input required. So, if you had to pick one, F-14 or F-18? Well, I’m working on a full article about that. The answer is: It depends! “Ask not an Elf for advise, for he shall say both Yeah and Nay”, Frodo Baggins. I love that reference! Stay tuned. I’ll try and have this one out on the weekend.